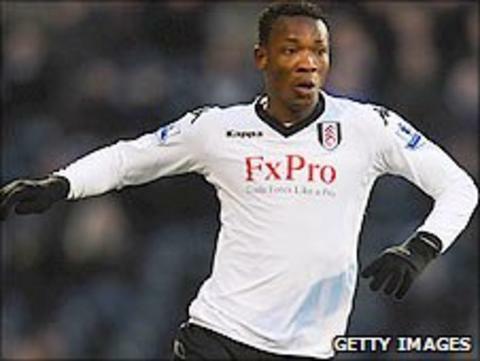 Leicester City have signed former West Ham United and Fulham defender John Pantsil on a three-year contract subject to a work permit. Pantsil, 30, was a free agent after leaving the Cottagers. The Ghana international joined the Hammers in 2006 and then joined Fulham two years later. "It's very good that a player of John's experience and quality wants to join us," manager Sven-Goran Eriksson told the club's website. "He is another established Premier League footballer with a lot of caps at international level. He's very athletic, strong, and I'm sure he will do very well for us. "If we lacked experience in defence last season, we have certainly addressed that with the players we have brought in this summer." Pantsil, who has 68 international caps and made more than 100 appearances for West Ham and Fulham, becomes Eriksson's eighth summer signing.